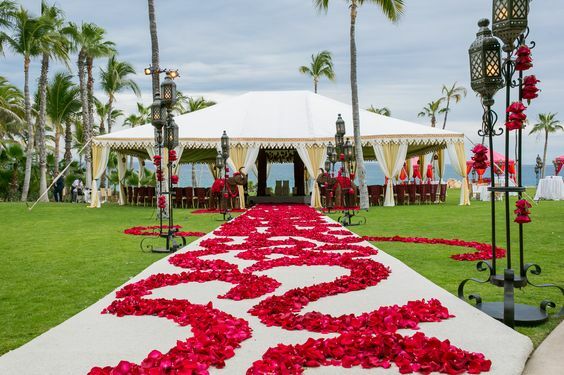 There's nothing more romantic than a destination wedding. Think about it. Who wouldn't want to jetset off to a glorious beach resort, marry the love of their life, be surrounded by close friends and relatives, and then enjoy a honeymoon without having to go anywhere? From Mexico to Europe to luxurious locations right here in the United States, destination weddings are a huge trend right now. So grab your favorite umbrella drink and kick up your feet as we take you on a tour of our favorite destination wedding locations around the world! Punta Mita, Mexico The Four Seasons Resort in Punta Mita is just 45 minutes from Puerta Vallarta. This secluded resort offers a spa, two golf courses, world-class snorkelling and a tequila tour. Paris, France Le Meurice has breathtaking class and style and is located right in the heart of Paris. The hotel features a luxurious spa, grand ballrooms, incredible suites, and views of the Eiffel Tower. Santorini, Greece The Canaves Oia Hotel in Santorini, Greece is set on the mountain side with stunning views of the Caldera and Aegean Seas. The hotel offers a private yacht for those who wish to tour the island. Kailua-Kona, Hawaii Breathe in the fresh, salty island air at the Four Seasons Resort Hualalai at Historic Kaupulehu. The resort offers two-story, open-air suites, stunning pools, and romantic ocean views. Santa Barbara, California The Bacara Resort and Spa in Santa Barbara boasts of 78 acres of oceanfront property as well romantic garden pathways and Spanish-style architecture. Whether near or far, destination weddings have such an intimate and romantic feel to them. 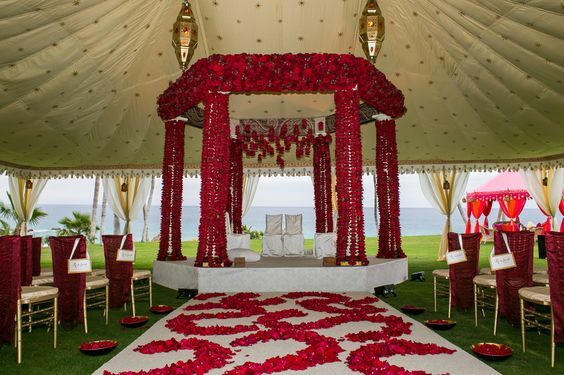 Let us plan your destination wedding - we promise it will be an Exquisite dream come true! Have an Exquisite day and we will see you next Wednesday! 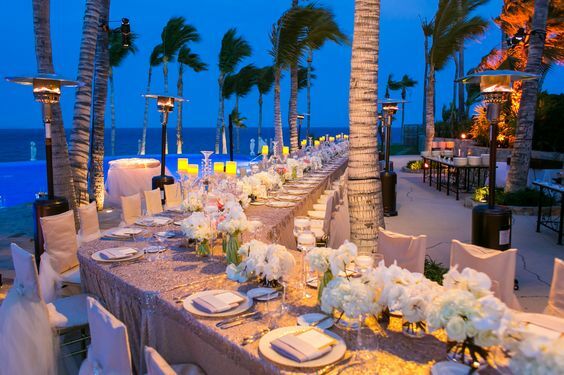 Photos originally from The Four Seasons Resort Punta Mita, Le Meurice, The Canaves Oia Hotel, The Four Seasons Resort Hualalai, and The Bacara Resort and Spa. For the next couple of weeks, we are taking a break from our event blogs to bring you what is HOT in 2015! We'll be highlighting gowns, wedding decor, destination wedding sites, and more. We'd also love your suggestions! Email us here. As we all know, fashion is always evolving. 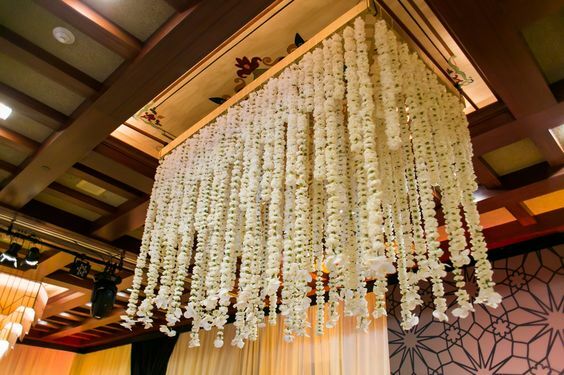 The bridal industry evolves even more so, as weddings are usually planned several months (or years) in advance. We want to take this week to profile two of 2015's hottest bridal gown trends in today's luxury market: high-neck lace gowns and elegant tulle-skirt gowns. Several luxury designers like Carolina Herrera, Marchesa, Monique Lhuillier, and Oscar de la Renta have featured these trends in many of the gowns in their 2015 bridal collections. It is rare for planners to attend events where they are able to sit and enjoy the event and be pampered along the way. During Christmas, Paige Levy and Charles Stuart of San Diego Hotels: The Grand Del Mar - A San Diego Luxury Hotel hosted "A trip around the world in 24 hours." They invited about 60 planners for a lovely evening of dinner and dancing and spared no detail! We checked in to the hotel, where each of us had our own King size luxury room overlooking the stunning grounds of the property. Hair and makeup appointments were set up for us by Call Me Beautiful where we were able to get dolled up for the evening festivities. As soon as we got ready, we headed to the hotel lobby for cocktail hour and this was where we were able to mingle and meet with all our friends in the industry. All of us were quite curious as to what was in store for the rest of the evening. We were escorted to the main ballroom and as the ballroom doors opened we were greeted by an incredible 20 piece band from Westcoast Music. The decor was absolutely spectacular with video mapped images of Italy and France on the walls. It felt as though we were in a Tuscan-Mediterranean dream. 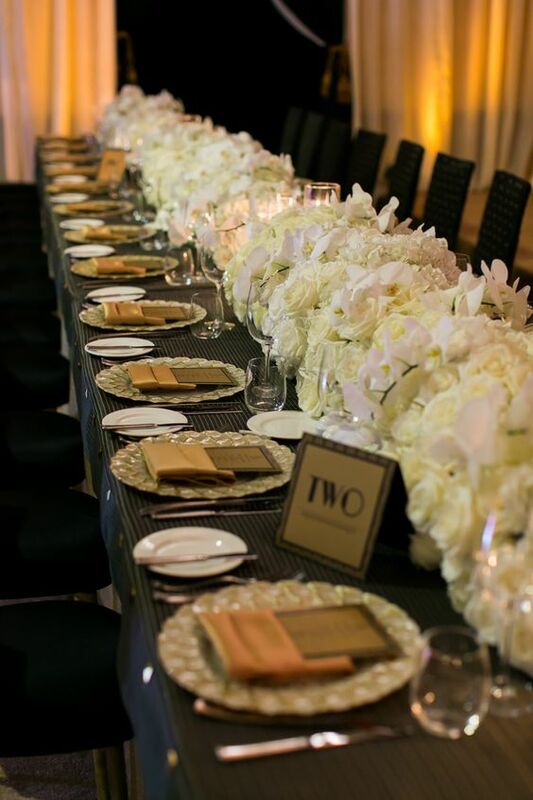 The tablescape was stunning by Kathy Wright and the furniture was nothing less than spectacular from Revelry Event Designers. We were treated to the most delectable Four Course meal while the band performed everything from Lady Gaga and Taylor Swift to Bel Biv Devoe and Boyz II Men. It was such a fun night and as you can see by the video, everyone was on the dance floor! [caption id="attachment_8421" align="aligncenter" width="700"] Click Here to See the Video! [/caption] After dinner, we were taken to the room next door where they had set up the after party and dessert. They had DJ Danno set up and the party continued! The next morning, we were treated to a full brunch including an omelet station, French toast, and everything in between before everyone checked out. Thank you so much to Paige and Charles for having us. It was truly a "Grand Experience." Have an Exquisite day and we will see you next Wednesday! We love to share images with you from our recent events but we would also like for you to get to know a little bit more about Nikki and Madiha. 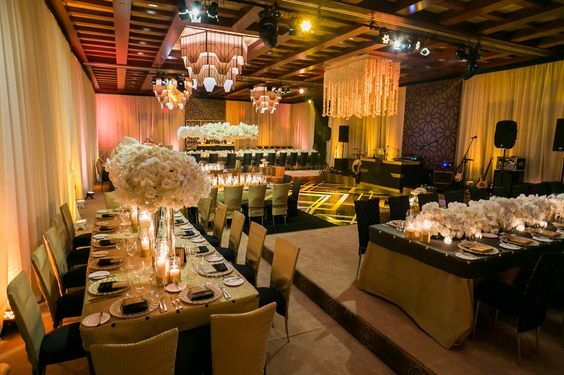 Here are 20 things you didn't know about Exquisite Events (courtesy of The Bridal Circle). 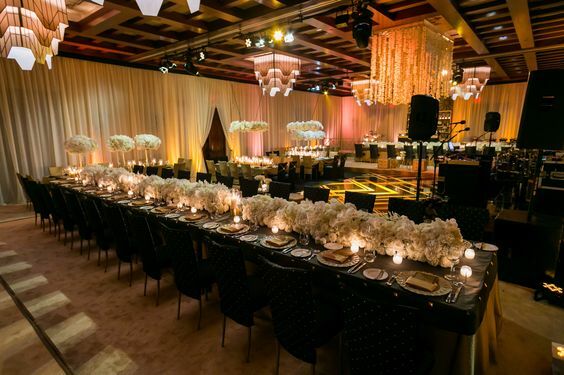 The powerhouse mother-daughter team at Exquisite Events, Nikki and Madiha Khan, have forged an incredible event design business together in sunny Southern California. 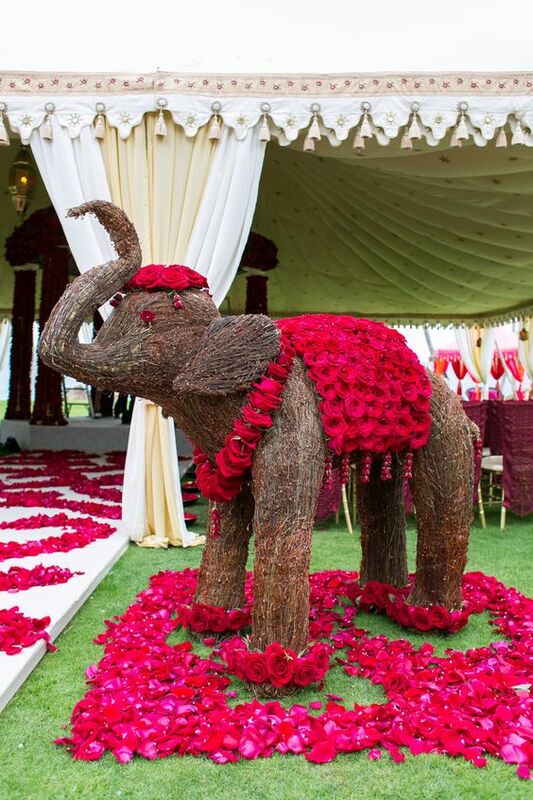 Stylish, savvy and discerning, this talented duo specializes in producing extravagant Indian and Pakistani weddings and events, including Mehndi and Sangeet ceremonies, in addition to authentic Indian ceremonies. 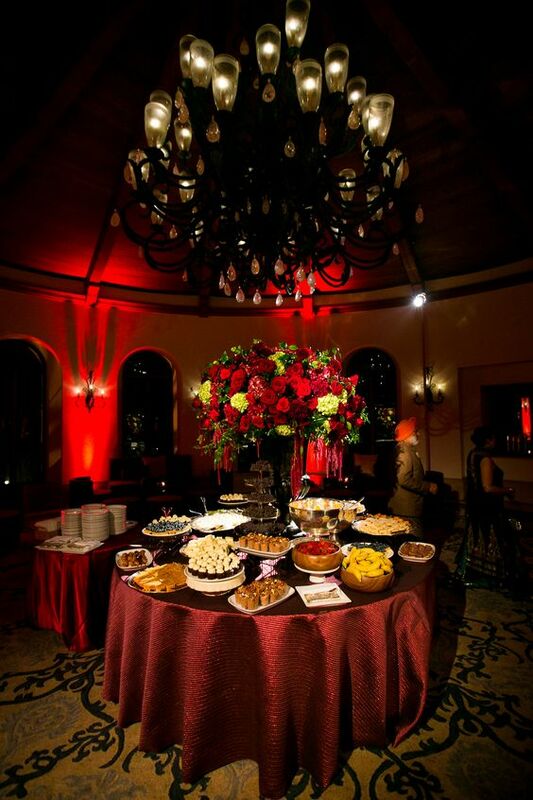 Sumptuous dinner parties, soirees and other cultural celebrations are all executed with ease and professionalism. Exquisite Events’ success has been showcased in such publications as Inside Weddings, Bride & Bloom, Ceremony, EastWest, Your Wedding Day and Grace Ormond, to name a few. Since the month of November is all about family and thankfulness, we couldn’t think of a better pair to feature for 20 Things You Didn’t Know this month. Take a look below for 20 Things about Nikki and another 20 Things about Madiha. We loved getting to know each of these gorgeous ladies just a bit better, and seeing how they are alike – and so very different, too! Read on and celebrate the beauty of family – and coworkers! – with us. Meet Nikki and Madiha! I spent my teen age years in Switzerland and attended the prestigious Swiss Finishing School. I have traveled extensively all over Europe and Asia. I have been married for 42 incredible years. I am the proud mother of four and doting grandma to 4 grandkids. I adore my daughter and partner in business, Madiha Khan, and consider it a privilege to work with her. I have lived in the US (LA) since 1972. I was born in Pakistan. I worked as a clinical dietician before launching Exquisite Events. I am a native Southern Californian. I take fashion and style seriously. I am obsessed with beautiful handbags and shoes. I love to entertain at home. I enjoy connecting with like-minded people and fostering lifelong friendships. My father was a Rhodes Scholar and spoke ten languages fluently. I went to UCLA and received my undergrad degree there. I had an amazing and memorable childhood in Pakistan. I am currently working on a coffee table book. I have developed wonderful and ever-lasting friendships with some of my clients. I got married at 23. I drive a manual Mini Cooper and have taken it to the track. I have a 3 year old son named Zayn. My favorite flower is a peony. I’m taking Italian lessons because I love all things Italian. I love warm weather – good thing I live in Cali! I have an extreme fear of flying and spiders. My favorite scents are Gardenia and Jasmin. I am obsessed with live music. I got LASIK surgery this year and it has changed my life. I love to play dress-up and be girly but I am a tomboy at heart. Dum and Dumber is one of my favorite comedies. I’m a huge Top Chef and Project Runway fan. I have 3 brothers and am an aunt to 2 nieces and a nephew. My first concert was U2 at Dodger Stadium on Halloween night in 1992 – I was 12. One of my favorite stores is Anthropologie.